Every year, the American Library Association compiles a list of the Best Books for Young Adults (BBYA). Each month, the BBYA committee, made up of members of the Young Adult Library Services Association (YALSA) updates the consideration list. 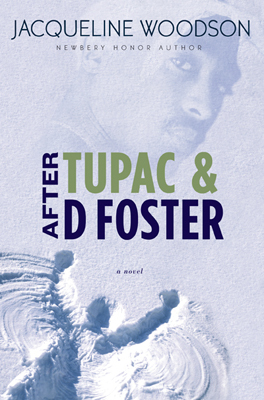 As of April 3, 2008, two novels by African-American authors have made the consideration list: Conception (St. Martin’s, 2008) by Kalisha Buckhanon and After Tupac and D Foster (G.P. Putnam’s Son, 2008) by Jacqueline Woodson. About the book: Buckanan takes us to Chicago, 1992, and into the life of fifteen-year-old Shivana Montgomery, who believes all Black women wind up the same: single and raising children alone, like her mother. Until the sudden visit of her beautiful and free-spirited Aunt Jewel, Shivana spends her days desperately struggling to understand life and the growing pains of her environment. When she accidentally becomes pregnant by an older man and must decide what to do, she begins a journey towards adulthood with only a mysterious voice inside to guide her. When she falls in love with Rasul, a teenager with problems of his own, together they fight to rise above their circumstances and move toward a more positive future. Through the voice of the unborn child and a narrative sweeping from slavery onward, Buckhanon narrates Shivana’s connection to a past history of Black women who found themselves at the mercy of tragic circumstances. All of their fates intertwine towards a shocking conclusion. About the book: The day D Foster enters Neeka and her best friend’s lives, the world opens up for them. D comes from a world vastly different from their safe Queens neighborhood, and through her, the girls see another side of life that includes loss, foster families and an amount of freedom that makes the girls envious. Although all of them are crazy about Tupac Shakur’s rap music, D is the one who truly understands the place where he’s coming from, and through knowing D, Tupac’s lyrics become more personal for all of them. The girls are thirteen when D’s mom swoops in to reclaim D—and as magically as she appeared, she now disappears from their lives. Tupac is gone, too, after another shooting; this time fatal. As the narrator looks back, she sees lives suspended in time, and realizes that even all-too-brief connections can touch deeply. Be sure to check out all the titles on the consideration list. I’m looking forward to reading these books! I truly enjoyed Buckhanon’s Upstate!